LeBron James is a monster on the hardwood—able to run faster, fly higher and devour any opponent’s confidence in one fell swoop. LeBron is a human highlight reel, capable of bamming a huge dunk on any player in the NBA, which makes fans’ mouths salivate in anticipation and excitement. In fact, LeBron might as well be in the dictionary at this point; Adj. Meaning exciting, awesome, unbelievable. He’s been making people’s eyes light up since he was a man-child in high school (check out Drake’s “Forever” music video that has a LeBron high school highlight video embedded into it here 1:00) and he continues to do it today. In this 2009-10 season, James is third in the league with 28.7 points per game but what’s so amazing about LeBron is that like one of his diamond earrings, he’s so multifaceted. LeBron’s 6’8” 250 pound frame makes him a Sasquatch under the rim. First he out muscles opponents, then he skies over them like a kangaroo, grabbing 7.1 rebounds per contest. James is also an excellent passer, adding 7.8 assists per, knowing when to facilitate as well as when to take over a game. He’s a unique superstar in how much he trusts teammates. LeBron is also unique for doing all three at such a high level, almost averaging a triple-double every single night. And while he might be taking over Kobe as the best in the NBA, he still doesn't have a title meaning his title of "King James" is overstated. Still, he never disappoints and he's on Sportcenter's top-10 almost every time he plays. Tonight, James and his Cleveland Cavaliers teammates come to Denver and the Pepsi Center to battle Chauncey Billups and the injury riddled Nuggets. That’s right, after missing eight of the last nine games and the last five straight, Denver’s leader and captain will be back tonight and Denver will need him. Normally the story would focus on another rekindling of the 2003 draft’s two best players, LeBron and Carmelo Anthony, but Melo has been sidelined for the last three games with a knee contusion that he suffered against Sacramento Dec. 28. Melo’s status is still “up in the air ” and while he’s making sure not to rush back too soon, everyone knows there is a friendly rivalry between the two and Anthony would hate to miss this game. Plus, from a team standpoint, Melo’s NBA leading 30 points per will be needed against the 28-9 Cavs that only allow 93.6 points to opponents. Cleveland’s road record of 14-6 is marvelous, second best in the NBA, and they bring their “A game” every night. This is a big game for Denver as the West’s playoff seeding has gotten tighter than a pair of LeBron’s signature shoes on game night. 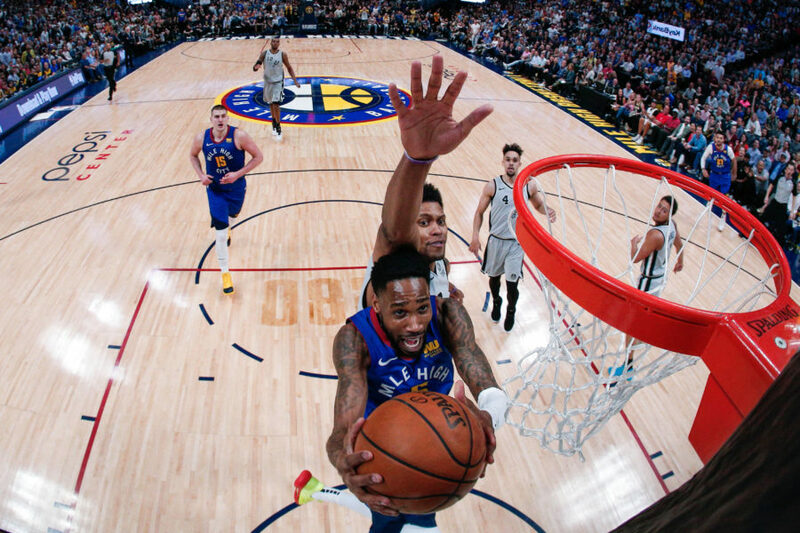 The Nuggets currently sit tied in fourth with the Spurs, a half game behind the Suns in third—a win could mean moving closer to the Lakers, a loss would send Denver tumbling further into the hodgepodge that is the wild West of the NBA. And even if Melo doesn’t play, the Nuggets will continue to fight hard and overachieve in his absence against one the league’s best teams. The action tips off tonight at 8:30 p.m. on ESPN. Besides Billups and Melo, there are three other Nuggets banged up currently. Nene rolled his ankle in Denver’s win against Golden State Tuesday, but he “vows to play” against the Cavs says Denver Post’s Benjamin Hochman. Rookie point guard Ty Lawson, who also rolled an ankle Tues. and Chris Andersen’s ankle make both game-time decisions tonight. Birdman likely won’t play and it’s hard to say about Lawson.